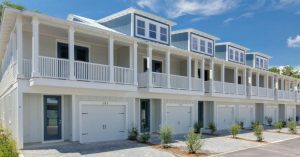 With two new residences under contract in February, 30A visitors and residents are discovering the outstanding opportunities available at 30A Townhomes in Seagrove Beach. Conveniently located along Scenic Highway 30A, this new development is perfectly positioned for homeowners to enjoy the 30A life. Is easy access to the beach your priority? 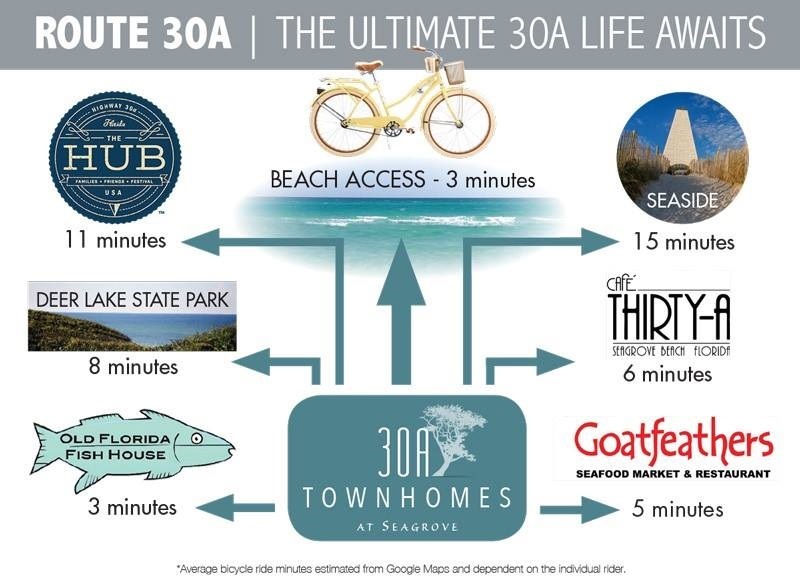 Seagrove offers eleven public beach accesses with three only minutes from 30A Townhomes. The rare eco-system of Eastern Lake is steps away for fishing and paddling adventures. In addition, popular restaurants and attractions including the Old Florida Fish House, The Hub and Café Thirty-A are all within a short bicycle ride as well as the communities of Seaside and WaterColor with regular festivals and events. Featuring all new, high quality construction, 30A Townhomes will offer 26 total residences currently under varying stages of completion. Each multi-story townhome includes a spacious covered porch, a single car garage and a semi-fenced backyard with paver patio. A beautifully designed community swimming pool provides the perfect place for an afternoon swim. Choose between the four bedroom, three-story Heron Plan or the three bedroom, two-story Sandpiper Plan. Each home plan offers a coastal-inspired aesthetic, modern features and outstanding finishes designed with luxury and convenience in mind. 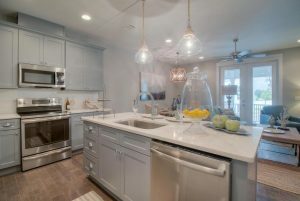 Sample finishes available include wood floors, stainless steel appliances, granite countertops, carefully curated Sherwin Williams paint selections, soft-close shaker wood cabinets and stunning pendant lighting. Interested in more details? CLICK HERE to see available residences or visit the model home at 4923 E. County Highway 30A, Unit C105.